Sometimes it takes a while for parties to get going. As people arrive, things can be rather docile at first, especially if some of the guests do not know each other. Often the host will employ "ice-breaking" games to warm up the atmosphere. As time goes on and the party gets going, people loosen up and get comfortable with each other. Soon the festivities are in full swing. In Jesus' day, wine was a normal part of any celebration. It was, at times, watered down to make it last longer. According to our Gospel lesson from John 2 it was a practice, how prevalent is not certain, to water down the wine as the wedding feast progressed. Over time as people consumed more alcohol they became merrier in their celebration and less discriminating in what they were drinking. At some point the hosts realize that they have run out of wine-- quite an embarrassment in that time and place. Mary recruits her son to deal with the matter. We should not assume here that Mary expects something miraculous from Jesus; perhaps he and his buddies (disciples) had forgotten to bring their customary gift of wine and she believes Jesus will go and get some. But Jesus has something different in mind. 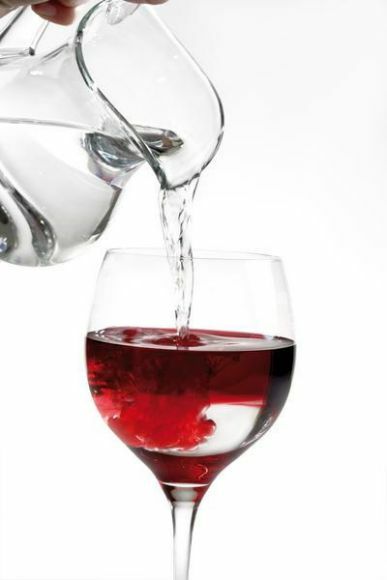 It is astounding enough that Jesus performs this sign (as John calls it) of turning water into wine, but as the steward notes, it is really good wine. It is not the thinner variety served later in the festivities. God called the kings of Israel and sent the prophets to reveal his will to the people of Israel, but too many kings were either ineffective or wicked, and most of the prophets were ignored. In some cases they were persecuted and killed. But God is faithful and persistent. He has saved the best move, his trump card, for last. As the best wine was served last at the wedding at Cana, so God has saved the best for last in sending Jesus. In Judaism, wine signifies joy. Jesus is the best wine of all. I appreciate the post. Thank you.